If you need to review the License information, set up your billing preferences or upgrade/downgrade your enterprise edition in line with business needs, click the Account tab and the Account Information page will be displayed. Furthermore, there is the Users with Role section under the Account Information form. Here you can see the list of users with whom the databases are shared. Also there are the Licensed User and External User columns, where the databases are listed. If a user is registered as Licensed User in a database, the database reference is displayed in the Licensed User column. In case a user is registered as External User in a database, the database reference is displayed in the External User column. 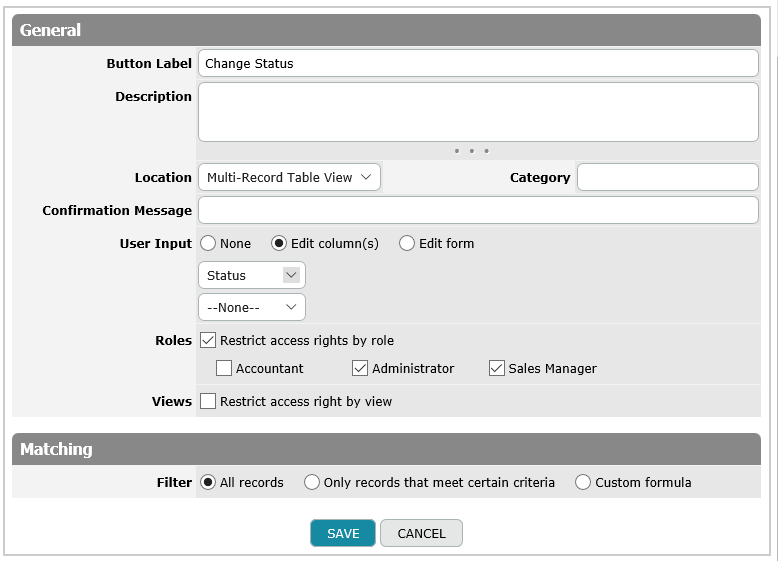 When you need to add/remove users to/from a database, click on the database reference and select the Manage Existing Users page. To renew your Enterprise Edition, click on the Renew NOW! button and implement 6 Steps to upgrade/downgrade your account and change your organization's billing information. To edit the account Name , account Description and to add the company Logo, click on the Edit button and fill in the corresponding fields. Moreover, you can specify the Default Notifier email that will be indicated in the notifications created by the system like a password reminder notification.